RIVERSIDE, Calif., Dec. 2 -- Fleetwood Enterprises' RV Group, a leading producer of recreational vehicles, today announced the launch of several new motor home models during RVIA's 46th Annual National RVTrade Show in Louisville, Ky. on December 2 - 4, 2008. These new models come after a busy summer that included the launch of thebrand new Power Bridge Chassis(TM) and a lifecycle change on the high-value Southwind Class A gas motor home. A 42-foot full-wall-slide floor plan with rear master bathroom on the luxurious American Allegiance Class A diesel brand (42T). A 43-foot full-wall-slide floor plan with bath-and-a-half flexibility on the contemporary Revolution LE Class A diesel brand (42W). A 41-foot full-wall-slide, mid-ship TV floor plan with side-aisle bathroom on the stunning Excursion and Providence Class A brands (40Q). A 34-foot full-wall-slide, mid-ship TV floor plan on the popular Bounder Class A gas motor home (33 U). Also making its debut in Louisville is the Fleetwood Hybrid, Fleetwood's first-ever hybrid motor home, which features hybrid electric power train technology from Freightliner Custom Chassis Corporation. Fleetwood Hybrid increases fuel economy up to 42%* and can be re-fueled at any diesel fuelstation. "Our motor home leadership team is committed to innovation," said PaulEskritt, president of Fleetwood's RV Group. "Their ongoing collaboration withour dealers, customers and suppliers helps us bring new models like these morequickly to the market, allowing us to be more competitive in this challenging economic environment." 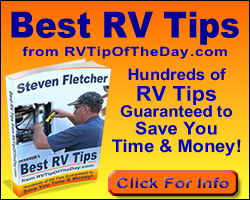 For more information all of Fleetwood's motor home products, call1-800-444-4905 or visit FleetwoodRV.com.